The information contained on this website homistic.com is for business networking and information purposes only. This directory does not hold itself out as providing any legal, financial, personal or other advice. It does not make any recommendation or endorsement as to any products, services or advisors. The products and/or services mentioned on this website may or may not be suitable for you. If you have any doubts, you should contact an independent advisor. The material on this website (or linked to this site) does not constitute advice and you should not rely on any material in this website to make (or refrain from making) any decision or take (or refrain from making) any action. This website contains links to other websites which are not under the control of and are not maintained by Homistic Real Estate, Inc. Homistic Real Estate, Inc. is not responsible for the content of those sites. 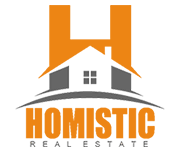 Homistic Real Estate, Inc. provides these links for your convenience only but does not necessarily endorse them or the material on these sites. Homistic Real Estate, Inc. is founded on the principles of good business ethics but make no warranty, express or implied, about the accuracy or reliability of the information at this Web site or at any other web site to which this site is linked.